A few months back I wrote about upcoming power rate increases. I would like to use this column to once again explain the reasons for increases to your future power bill. Raising any fees, in this economic climate, is difficult. The City Council understands the impact this will have on our residents and businesses. 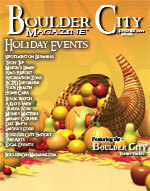 Boulder City has enjoyed very favorable utility rates. We benefit from the power generated from two dams. We have known for some time that our power purchase agreement with NV Energy would dramatically increase. Currently we buy less than 50% of our power from NV Energy. They have not raised our rates for 20 years. In reviewing the rate structure at NV Energy, the Public Utility Commission noticed our reduced rate compared to all other buyers and mandated that NV Energy increase our rates. Their rate to the city is increasing approximately 260%. What this translates to is the City will spend approximately $4 million more a year for power. Our contract with NV Energy will run out in October of 2010. The City Council and staff have been and will continue to look for cheaper contracts to replace NV Energy. Hopefully, this will allow us to make changes in the future. For now, this increase will mean that our residents will pay around 35% more for power. The City Council is looking at ways to implement the increase in the fairest manner. The increase in your power bill will most likely take effect in January 2010. We will continue to work on finding cheaper sources of energy. I suggest that our residents become more educated in power conservation. We have all been learning over the past decade about water conservation; it is now time to look at all forms of conservation to help lessen the impact of the rate increases.